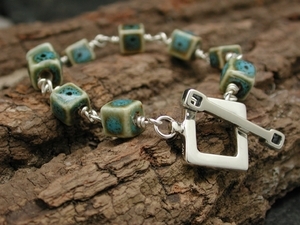 Beautiful porcelain, expert wirework, and the JKAT solid sterling silver Simple Toggle make this cool, calm and collected bracelet. Show off the toggle or the porcelain. Either way, you will look great.